What is the Sabbath, anyway? The holy day of rest? The first effort to protect the rights of workers? A smart way to manage stress in a world in which computers never get turned off and work never comes to an end? Or simply an oppressive, outmoded rite? 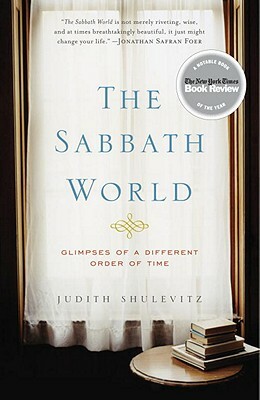 In "The Sabbath World, " Judith Shulevitz explores the Jewish and Christian day of rest, from its origins in the ancient world to its complicated observance in the modern one. Braiding ideas together with memories, Shulevitz delves into the legends, history, and philosophy that have grown up around a custom that has lessons for all of us, not just the religious. The shared day of nonwork has built communities, sustained cultures, and connected us to the memory of our ancestors and to our better selves, but it has also aroused as much resentment as love. "The Sabbath World" tells this surprising story together with an account of Shulevitz's own struggle to keep this difficult, rewarding day.